This Feast was granted to the Universal Church by Pope John Paul II on the occasion of the canonization of Sr. Faustina on April 30, 2000. 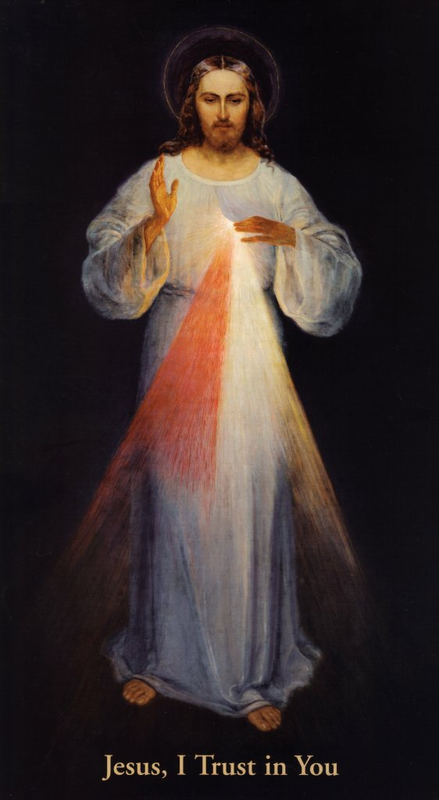 In a decree dated May 23, 2000, the Congregation for Divine Worship and the Discipline of the Sacraments stated that "throughout the world the Second Sunday of Easter will receive the name Divine Mercy Sunday, a perennial invitation to the Christian world to face, with confidence in divine benevolence, the difficulties and trials that mankind will experience in the years to come." NOTE: All text is taken from EWTN's background on Divine Mercy. See http://www.ewtn.com/devotionals/mercy/ for further details about the revelation, image, and Divine Mercy devotion.